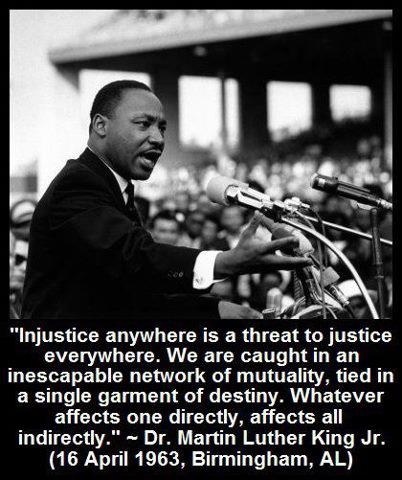 These words continue to ring truer and truer with each passing day. Happy Thanksgiving! While considering what you are thankful for–friends, family, and freedoms–remember those less fortunate not only at home but also abroad. People whose friends and family die from easily preventable diseases, starvation, murder and armed conflict. People who fight and die for the rights and freedoms we largely take for granted. As the wealthiest and most powerful nation in the World, the United States has an obligation to lead by example, upholding the principles of human rights, sustainable human development, and effective liberal democracy. For the thought leaders and social entrepreneurs, take up your cause with conviction and passion–do not take no for an answer. For those who are fortunate enough, donate to a deserving cause. For those who do not have money to donate, volunteer your time. There is one thing anybody can do to make the world a better place–act altruistically. Change starts with the individual; if nothing else care about those less fortunate, and act in accordance with that belief. With perseverance and patience, what once was considered radically liberal becomes the new norm. In the words of Mahatma Ghandi, “be the change you wish to see in the world”. Categories: Blog Posts, Welcome | Tags: altruism, thankful, thanksgiving | Permalink.